Personalization and predictive analytics platform Reflektion is showing it has the capacity to help online retailers drive more revenue from their website search functionality. Reflektion recently introduced Personalized and Visual Site Search for eCommerce retailers and brands, which adds a layer of personalization and product imagery to site search results on eCommerce websites. So far it seems to be working - quite well in fact. The new feature has been in beta at performance sportswear company 2XU and The O'Neill Clothing Company, and is generating an average of 315 percent more revenue per search term compared to standard site search according to Reflekion. 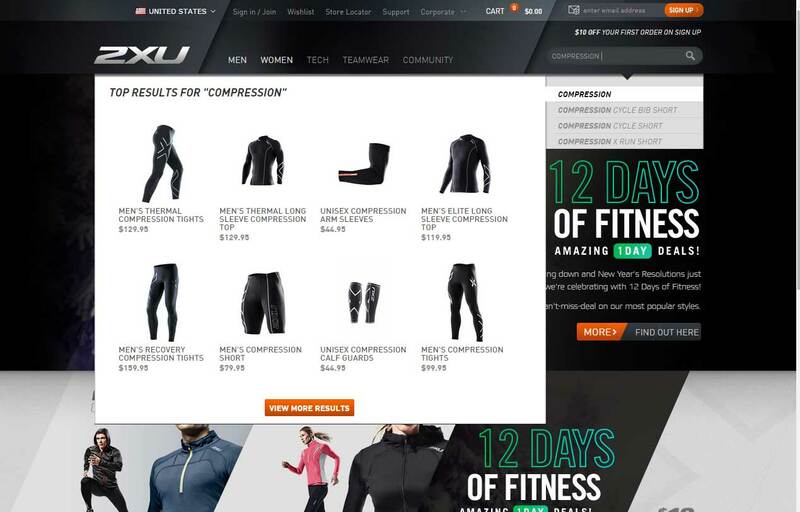 "Product searches on the 2XU website have turned into a visual merchandising experience that brings each shopper one click away from the products they are looking to buy," said Sydney Wells, eCommerce marketing specialist at 2XU. "Reflektion's focus on personalizing search is paying off. We are seeing conversion rates increase by double digit percentages."